Getting the full car share experience with my bestie, Peter Kay. Hands up who’s ready for Summer? Me me me! I’m slightly fed up with travelling around the country, seeing much of our beautiful landscape, only for it to be clouded in mist and rain! It’s June for goodness sake! OK. Rant over. It looks like we’re finally getting some sunshine, and of course my mood will improve no end. 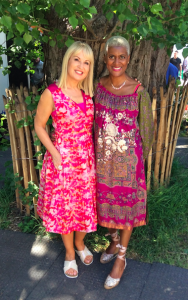 Although I shouldn’t complain too much, because the one week of the year I desperately want fabulous weather is the end of May for the RHS Chelsea Flower Show. Huge drum roll please, because it was ‘gor-geous darling’ (said in a Craig Revel Horwood voice). Some of you may have heard me call this week the ‘jewel in my presenting crown’ but truly, that’s the only way to explain it. 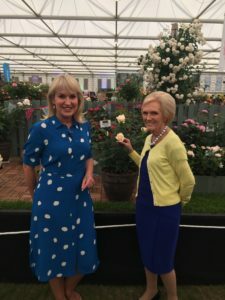 A week of glorious weather, 11 acres of incredible horticultural creations and exhibits, a wonderful team and hours of live TV for me. I’m so grateful to all the experts, growers, floral designers, horticulturists, plantsmen and woman, and of course the RHS who teach me so much throughout the week. Knowledge, excitement and pleasure. Now there’s a sentence! 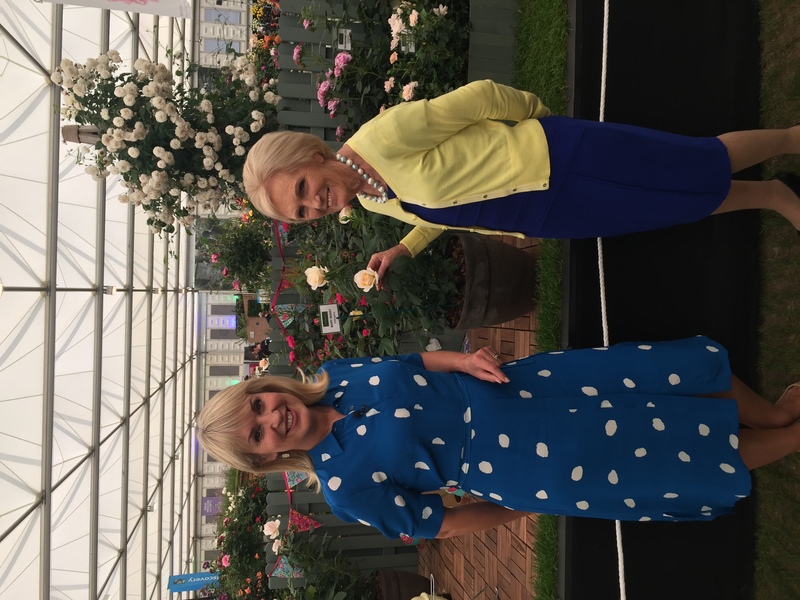 The fragrant Mary Berry with her very own rose named after her. 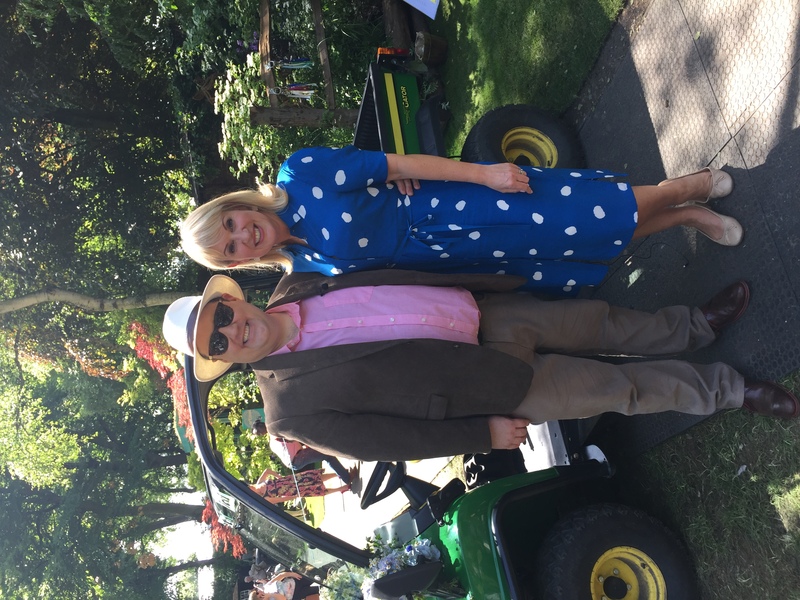 My old chum Peter Kay who gave me the full Car Share experience (watch it back on YouTube if you can, hilarious). If you wonder where he gets that wonderful wit from, I can let you into a little secret, it’s from his wonderful mum Deirdre! The delightful Mary Berry and the amazing BBC Radio 2 team for their inspiring ‘5 Senses Gardens’. 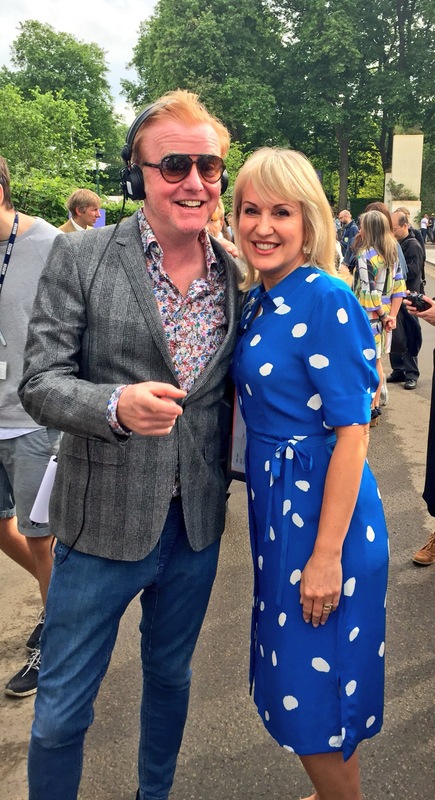 Thanks to Chris Evans for the live interview on his garden, which he was so proud of and the huge bear hug. 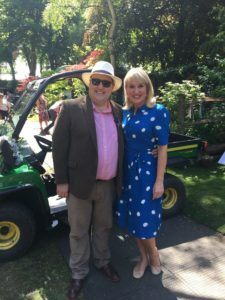 The lovely Jeremy Vine who made ME look like an expert when I asked him to name a few plants. Carol Vorderman and her passion for trees, Cerys Matthews for explaining the importance of encouraging families to think green, as well as Simon ‘florist to the stars’ Lycett. 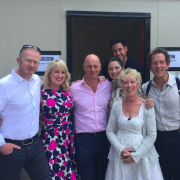 The Don himself – Mr Monty Don, Carol Klein, Joe Swifty and James Wong (our birthday Chelsea boys), Sophie Raworth, Adam Frost, Arit, Toby, Rachel, Joe, Mark and the rest of the team. And last and most importantly, the plants and gardens themselves!! I’m now writing it like it’s an acceptance speech!! Cue huge applause. My only slight moan is that I would like the show to be on for a few more days… I’m sure the designers and exhibitors would probably disagree as it’s a truly exhausting week for them! But if you are lucky enough to have a garden or some outside space like me, let’s enjoy it!